The Law School has excellent connections to the profession. I have been mentored by QC’s, judges and many more esteemed legal professionals as a result of support from NLS. I currently sit as the UK’s Youth Delegate to the Congress of the Council of Europe. The Council of Europe is Europe’s leading human rights organisation and the ‘Congress’ is made up of representatives from local authorities across Europe. Its role is to promote local and regional democracy. An underlying belief within the Congress is that widespread change first happens at a ‘community’ level, and that is why Congress’ work is so important. Appointed to advocate the views of UK youth, I regularly attend the Palace of Europe in Strasbourg. I research, write and deliver speeches on issues I have expertise in (many of which are legal), work on projects promoting social cohesion and assist the work of other youth delegates with projects in their respective countries. My role requires an ability to make strong, persuasive arguments to large audiences, often with little or no time for preparation. 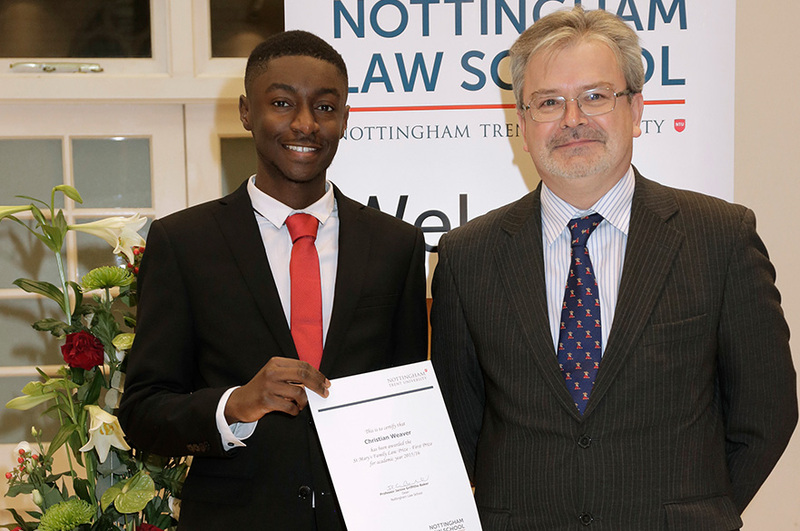 My second year assessed moot at Nottingham Law School (NLS) drilled this ability in to me. Mooting may sometimes seem a chore during your studies, but the ability to quickly develop strong arguments whilst ‘thinking on your feet’ is something that law students learn much sooner than others and is a skill transferable to many other walks of life. The BPTC cemented this skill. NTU staff regularly send out emails looking for writers for the NLS blog. Participate! Your time at university is an excellent ‘training ground’ to practise these skills and it was my experience writing for the NLS blog that encouraged me to start writing for the Huffington Post and Nottingham Post. NTU staff were a great source of support and certainly helped give me the confidence to argue my points of view at an international level. Particular thanks must be expressed to Julie Higginbottom who I saw fortnightly during my NLS years. Meetings with her have played a key role in my professional and personal development. NTU’s 24 hr library was instrumental to my success during university. Believe it or not, a 24 hr library is a luxury shared by students at a minority of other universities. A 24 hr library allows you to take greater ownership of your life – meaning you can study when you want to as oppose to at the times dictated by opening hours. The Legal Advice Centre is also an invaluable resource. Not only is pro bono work a fulfilling experience, but a great (arguably essential) addition to applications. We are fortunate to have this resource so readily accessible at NLS. The Law School has excellent connections to the profession and I have subsequently received mentoring from QC’s, judges and other esteemed legal professionals. Had I been at another institution, I cannot be sure such opportunities would have existed.